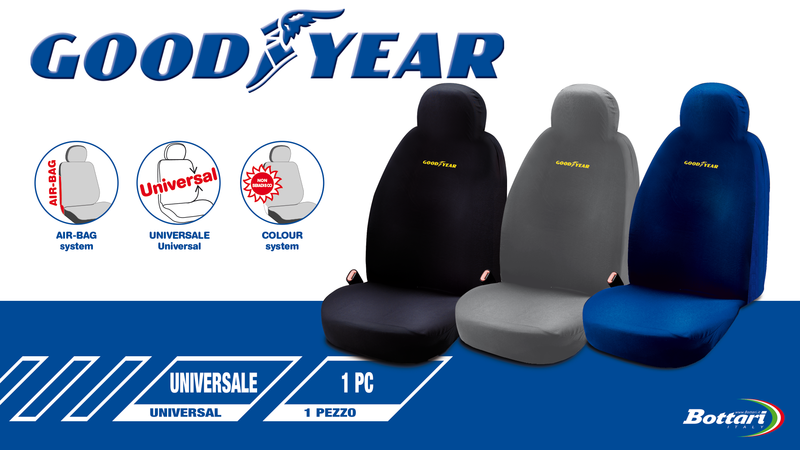 The Goodyear single seat cover is ideal for renewing the look of your seats and protecting them. 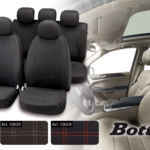 Thanks to the breathable fabric of this seat cover, the seat will remain comfortable even during the warmer seasons. 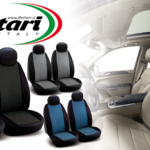 The universal format allows it to be applied comfortably on most of the front car seats. 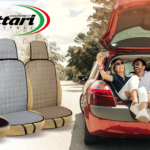 The compatibility with the side Air-Bag system prevents the seat cover from obstructing the Air-Bag in case of activation. The anti-fading color keeps the colors alive over time, preventing the sun’s exposure from fading. 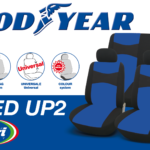 This Goodyear seat cover is available in Black, Blue or Gray to better match with the interior of your vehicle. 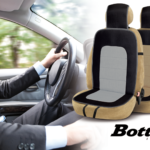 The single-size package meets the needs of those who want to protect or renew the driver’s or passenger’s seat. Thanks to the single package, it will not be necessary to purchase an entire set, to use the front covers.